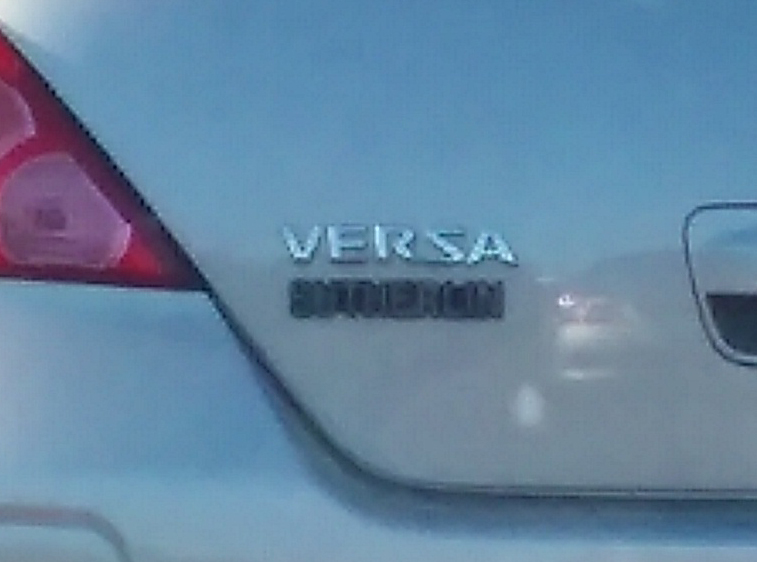 So I was driving into work yesterday when I got stopped at light behind this car. And it got me to thinking I should change the name of my Female Lead in my new book project. Yes, I call them the Female and Male Leads instead of protagonists or main characters. Here’s the thing. So far her name has been Amanda “Mandy” Sutherland. I like Sutherland, but it’s a bit of a mouthful. 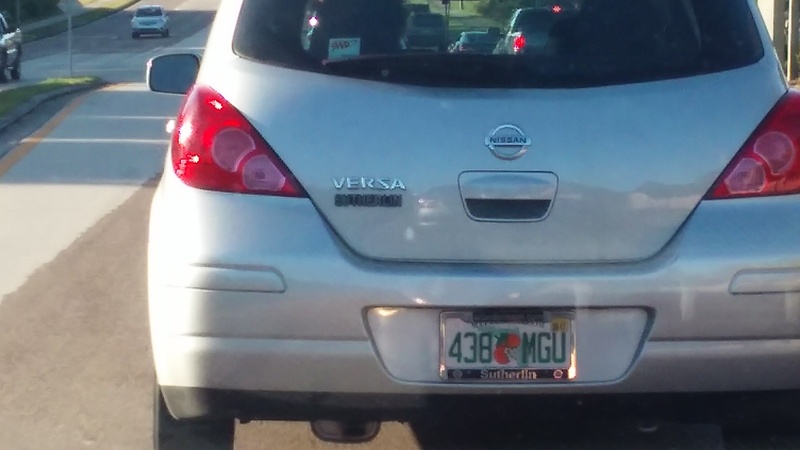 So lo and behold I’m driving into work and see this Silver Versa with a plate on it from “Sutherlin.” I googled it and they’re a Nissan dealership here in Orlando. I’m liking Sutherlin better than Sutherland. It’s brighter and lighter than Sutherland which is a bit mouthier. So now I can say I got a character name off the back of a car while stopped at the intersection of Conroy-Winderemere and Apopka-Vineland Roads. Talk about a mouthful! Jennifer Geoghan, author of The Purity of Blood novel series, and If Love is a Lie: A Partly True Love Story. ← 24 Oct 2015: A rose by any other name …. Would be a cabbage.